Only two days ago i posted a guy from MoDaCo already rooted the Samsung Galaxy Nexus before its official release. Now we have something more. 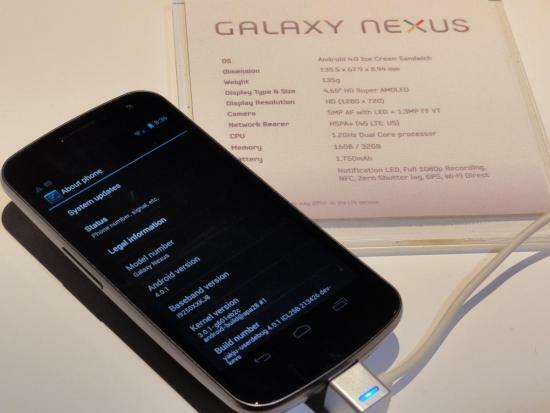 MoDaCo's Paul O'Brien has uploaded the boot and recovery images from the Samsung Galaxy Nexus, along with a full system dump from the device. While all three files should be of interest to Android hackers and developers, the system image in particular should be a great source for anyone looking to pillage ringtones, graphics or live wallpapers for use on other phones. Paul points out that these are from a pre-release development build (ICL23D), so they'll likely differ from what you'll find on retail units later this month. If you are still interested to hack you 1st Android 4.0 Ice Cream Sandwich device then check out this link now.